First impressions are vital for success in any job interview, especially when you only have a short period of time to sell yourself; research suggests it can take as little as 10 seconds for someone to form an opinion of you. How you come across at the very beginning of the interview often sets the scene for how your interview will pan out. It’s completely natural to be nervous before a job interview; however using the right interview body language will help you deliver a successful interview. It’s important to remember, a vast amount of communication is delivered from body language through the signals we give off. Here’s our guide to the interview body language. Walk the walk – It’s important to look as keen, professional and as confident as possible when you walk into the building. You never know who could be watching your entrance before you go into the interview. Try not to be over-confident as it could be seen as arrogance. Provide a firm handshake – This is essential when aiming to make a good first impression at any job interview. 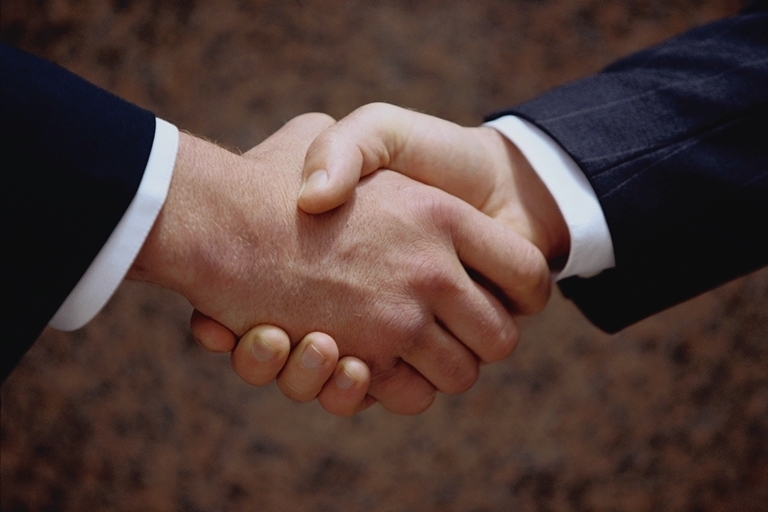 A firm handshake offers a degree of professionalism and reflects confidence. Keep eye contact – During the interview discussion you do not want to show any signs that you are intimidated or shy, nor do you want to look disinterested. Keeping eye contact with the interviewer when you are being spoken to will show you are taking everything in, also when you are talking eye contact will help deliver confident communication. Good posture – Slouching or leaning back on your chair must be avoided at all times during the interview; you do not want to look too relaxed or disinterested. Sitting up straight and having a good posture will look professional. Smile – Presenting a smile on first impressions is always a good approach to take for an interview, it can make you a more likeable character from the outset. A smile naturally makes you look more relaxed and it will help let your personality shine through. This entry was posted in Interview Advice and tagged cv advices, cv tips, cv upload, interview advices, interview answers, interview body language, interview questions, interview tips. Bookmark the permalink.